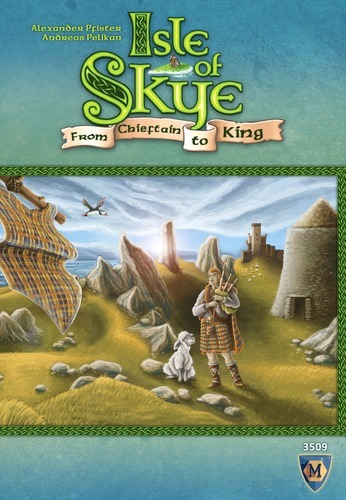 The Basics: Isle of Skye is a tile-placement game where the players assume the role of a chieftain on the titular Scottish island. They all compete to have the grandest little fiefdom on the island by expanding their fiefdom to include different features such as farms, roads, shipping, and distilleries. This game cleverly sidesteps some of the pitfalls of tile placement games and also rolls in a scoring mechanic that is charmingly similar to the end-of-round scoring in Terra Mystica. Some might disagree, but one thing I like about Euros are the geographic themes. 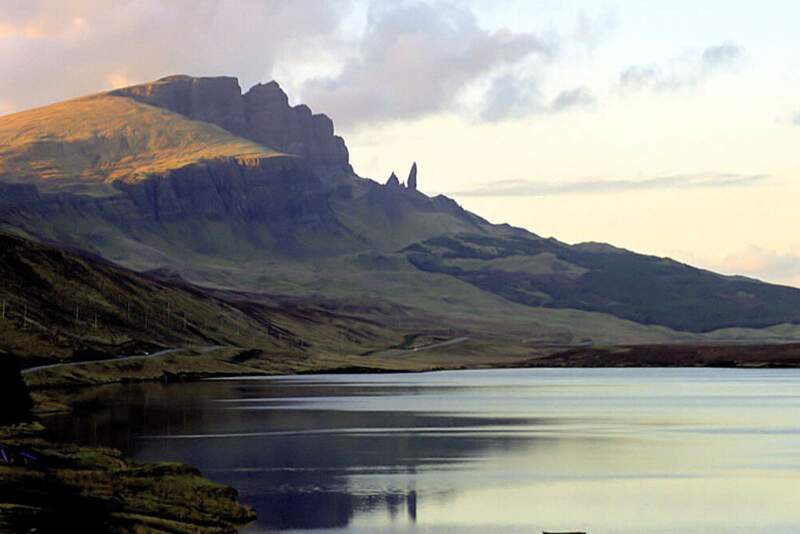 Pasted-on theme or not, Isle of Skye is one the most beautiful places in the world, and definitely deserves to have a board game celebrating its beauty and culture. One of the pains involved in tile-placement games is when your opponent improbably draws everything you need. In Isle of Skye, rather than simply draw a tile, players sell what drawn tiles to anyone willing to meet the price. In this way each player gets a crack at what they want, so long as they have enough dough. Each round the board awards victory points based on what the player has on their tiles (6 points for having the most boats, for example, or two points for each farm, etc.). The scoring conditions are randomly determined at the beginning of the game and rotate as the game progresses. This scoring mechanic reminds me of Terra Mystica, but thankfully doesn’t labor under that game’s extensive playtime or other shortcomings. What we did wrong: As previously stated, ordinarily in tile placement games players take it in turns to place tiles. In Isle of Skye players receive a group of three tiles and, rather than placing them, set prices for them. After that their opponents get a chance to buy them and add them to their fiefdom. The rulebook says that a player may buy one and only one tile per turn. I took this to mean erroneously that a player could only buy one tile period. However, on a re-read it appears that a player buys, passes to the next player, and then may buy again when it comes to their next turn. This is important because each player’s board is scored each turn based on what they have, so players who can buy multiple tiles per turn thereby creating a larger fiefdom are at an advantage over players who only buy one tile per turn. EDIT 09/12/2016: Turns out this was wrong too! Players actually are limited to one tile buy per turn. However, tiles they put up for bid which are not purchased are retained, although the money used to put them up for auction is lost. Conclusion: Relatively simple and combining the marketplace confrontation and scoring mechanics that I love, along with a good theme and topping it off with a manageable hour playtime, this game would be a strong addition to any euro lover’s collection. ← WE WERE PLAYING IT WRONG: ARCHER: THE DANGER ZONE!